Send Bindi Safely To Chicago! Bindi is a 10 month old puppy who unexpectedly gave birth to 6 pups in July 2017 on a cold rainy night! 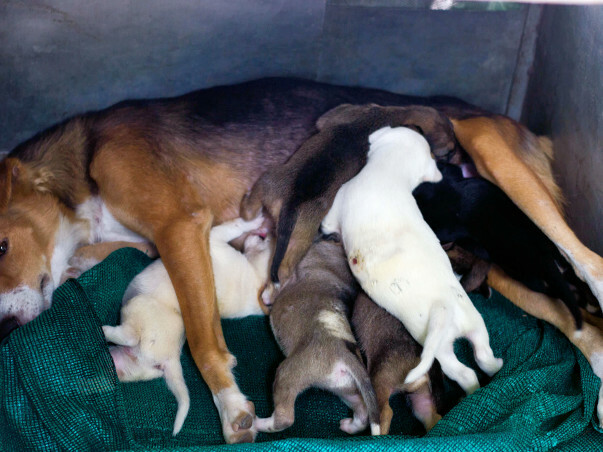 Despite weighing only 12 kgs and a baby herself, she was an amazing mother to her puppies. The pups suffered maggot wounds and accidents but they all survived and found themselves homes, leaving Bindi alone and depressed. 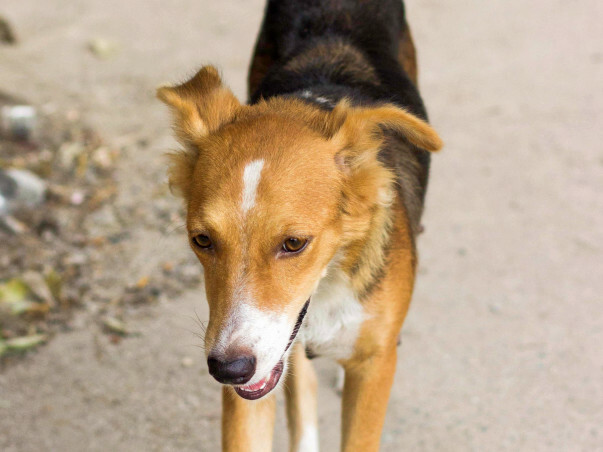 Bindi is a frail girl who does not know how to live on the streets well! She does not scout well for food and is very often chased down by other dogs. 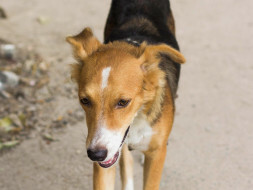 Bindi is an indie and nobody in India wants to adopt her for that reason. We have an opportunity to give this beautiful girl the life she deserves. A small donation can work towards her having a safe and secure life in Chicago versus fighting for survival every day on the streets. She will be travelling 24 November 2017 to Chicago into the care of the International Street Dog Foundation (ISDF). Our expenses will include flight tickets, boarding, training, vaccinations, microchipping, purchasing the crate and paperwork for sending her overseas. Bills will be provided! Anupriya is the rescuer and she can be spoken to directly by commenting below or by sending a WhatsApp message to +447900583992. If anybody can donate a crate for Bindi, please drop a comment below. The crate needs to be with us ASAP so her crate training can begin. Bindi is doing extremely well and her tick fever treatment is now complete. Her crate has been bought for 9500 rupees and her crate training has also begun. Thank you for making this dream a reality. Bindi has been running a temperature of 106 F degrees. She was given a drip along with injections of ranitidine and paracetamol today. Blood has been drawn for her CBC to test for tick fever. Please keep her in your prayers. Thank you all for all the support. Bindi is doing very well at her training. Her post operative care after her spay surgery went extremely well and she has been dewormed this last week as well. Bindi's flight tickets are going to be purchased later this week, as well (costing about 30,000 INR). None of this would have been possible without each one of you. Please continue to support her.